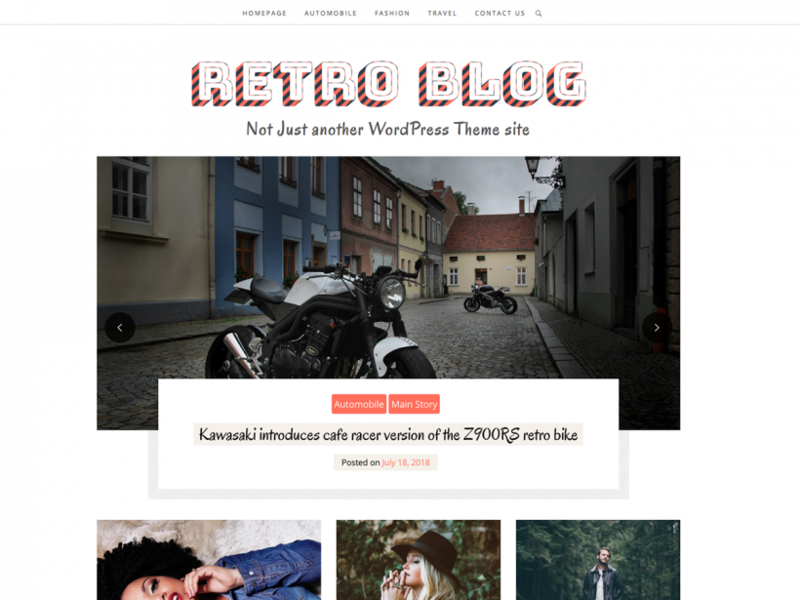 Retro Blog Pro is a clean minimalist mobile optimized WordPress theme crafted for influencers and infopreneurs. With a focus on crisp typography and unique styling, Retro Blog will highlight your content beautifully and communicate an authentic and high quality brand to your readers.  Using native Customizer Theme options you can customize your blog the way you want very easy! 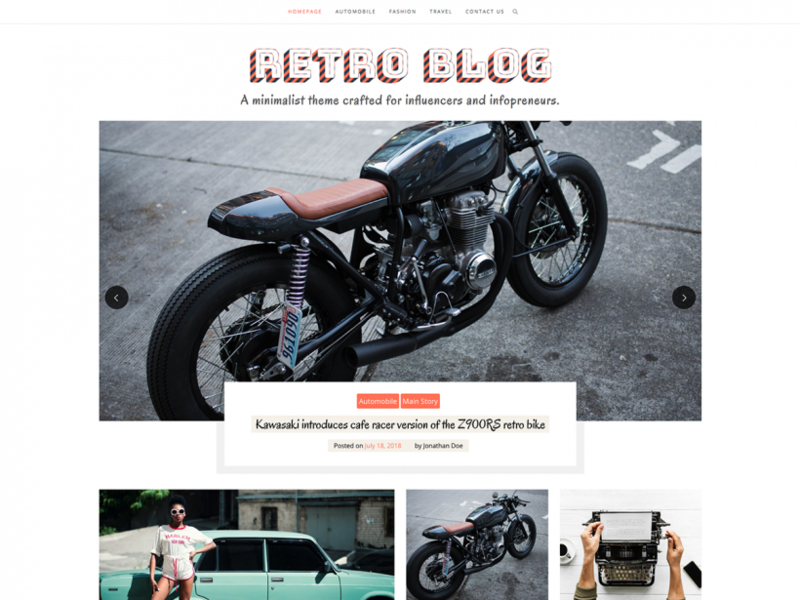 Retro Blog is s clean minimalist mobile optimized WordPress theme crafted for influencers and infopreneurs. 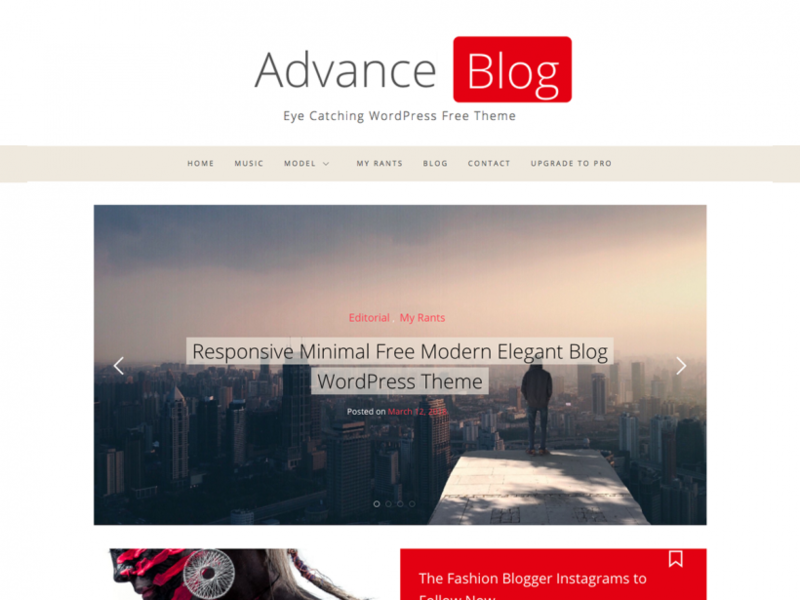 Advance Blog is a modern, clean, responsive and retina-ready WordPress blog theme also suitable for magazines, newspapers, or review sites. The theme comes with several awesome features, including a featured posts slideshow, a magazine homepage template, and a two columned layout. 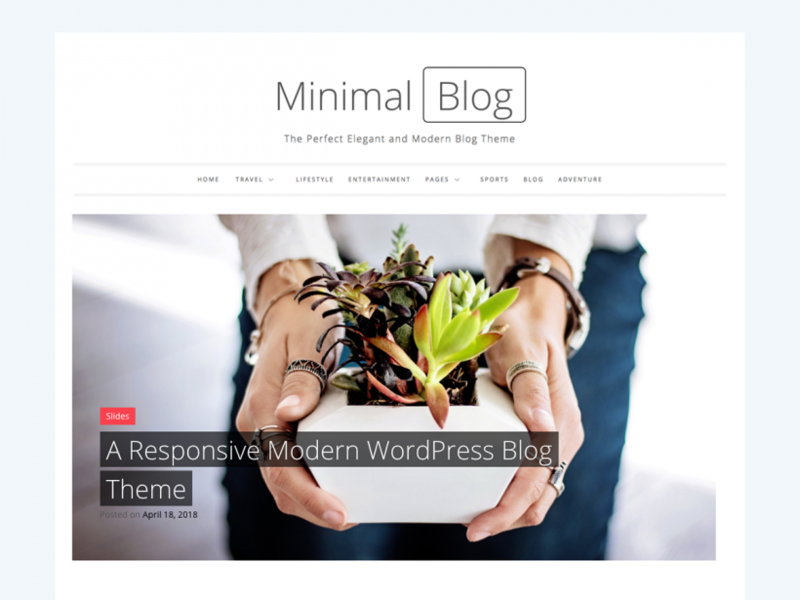 Minimal Blog Pro is an upgraded Version of “Minimal Blog”. 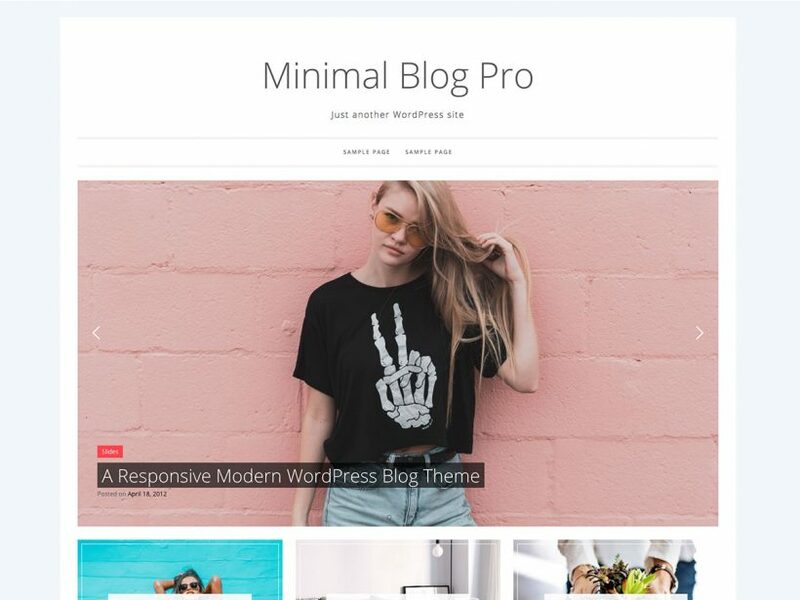 It is modern, clean, responsive and retina-ready WordPress blog theme also suitable for magazines, newspapers, or review sites. The theme comes with several awesome features, including a featured posts slideshow, a magazine homepage template, and a two columned layout.